Last night, my youngest son, Chase, had an unusual request. While reading one of his ‘Big Nate’ books, he commented on how time-consuming and difficult it was to make a comic because of all the illustration but especially – the hand lettering (he had worked on his own comic page earlier in the day, so he was talking from experience). He asked if the ‘pros’ had their own typefaces based on their handwriting to make the process easier. I told him, ‘most likely’, and he followed up with, ‘that would be cool to have my own typeface’. I told him he could. 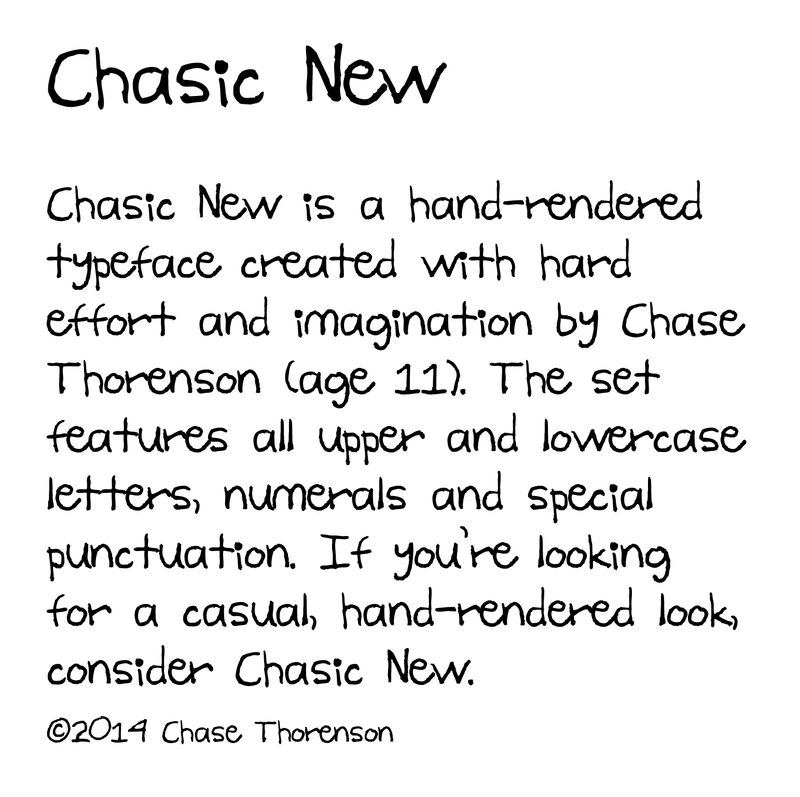 An hour or so later, we arrived at the typeface that he named himself: Chasic. I made some modifications and added to his character set, but thought, why not offer it to anyone who wanted to use it. I asked his permission, of course. If you’d like to download it simply click on the hyperlink below. Enjoy! This entry was posted in design, graphic design, inspiration, Inventions, kids, typography by Sean Thorenson. Bookmark the permalink. This is pretty cool, buddy!